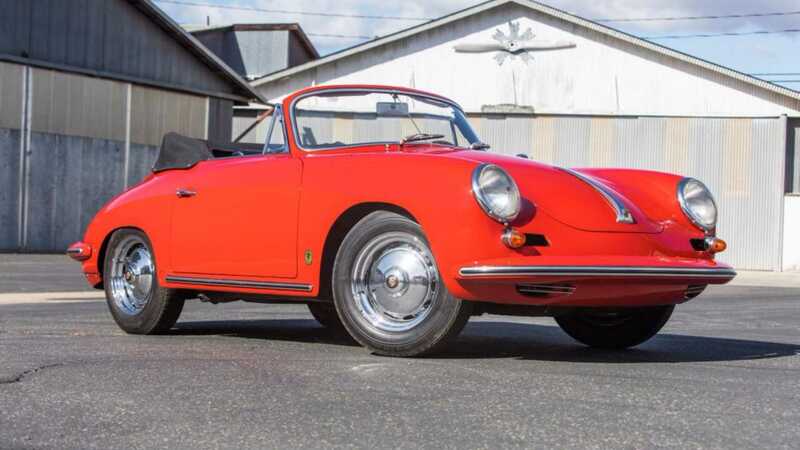 This 1963 Porsche is one of only 64 made and holds an amazing back story – where its original engine went missing. 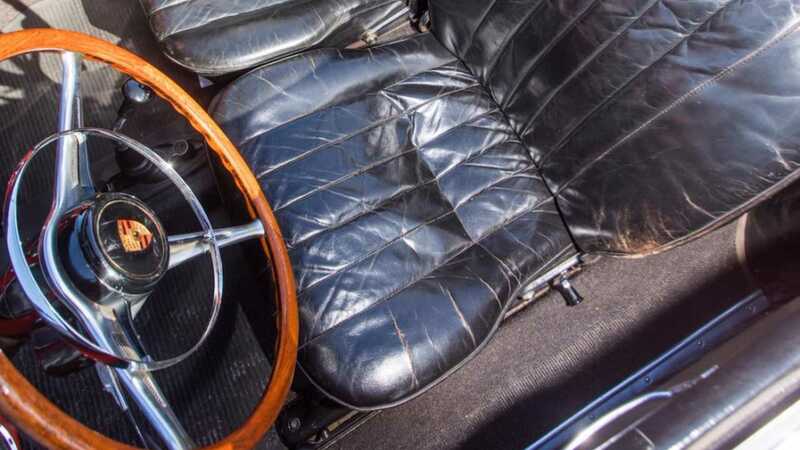 The car sold during Bonhams' Scottsdale auction for $1 million. 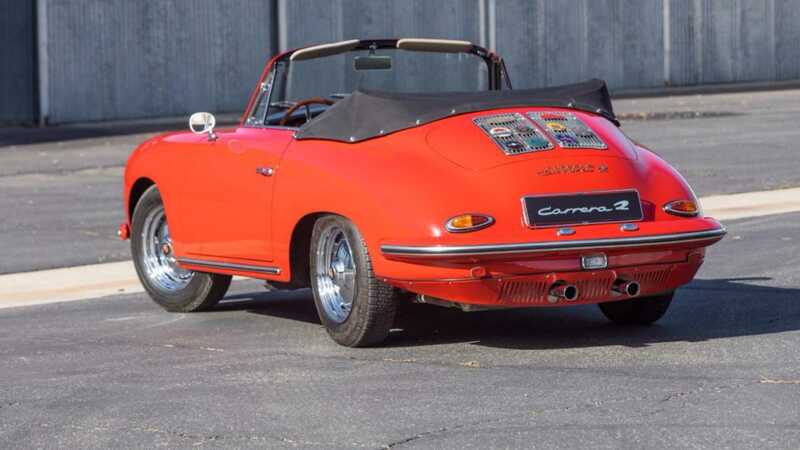 Back in 1963, the most expensive – and fastest – road-going Porsche money could acquire from an American dealership was the 365B Carrera 2 GS Cabriolet. Carrying a $7995 sticker price ($66K with modern inflation), the hefty premium was justified by a throaty four-cam, 2.0-liter racing-spec powerplant churning out 130 horsepower. Not only that, but the vehicle was wholeheartedly exclusive. 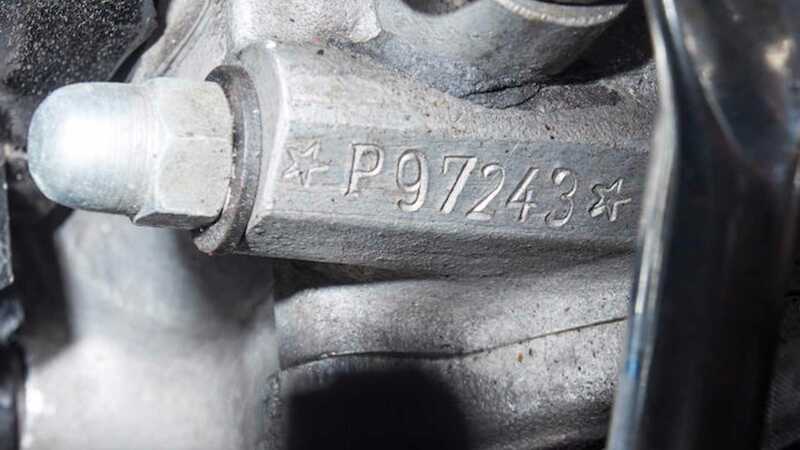 Values for classic Porsches have spiraled upwards for decades, so it should come as no surprise to discover that a highly original ’63 example – boasting its original engine and a documented chain of ownership – sold for $1 million (£768,000), including fees, during Bonhams' Scottsdale auction. 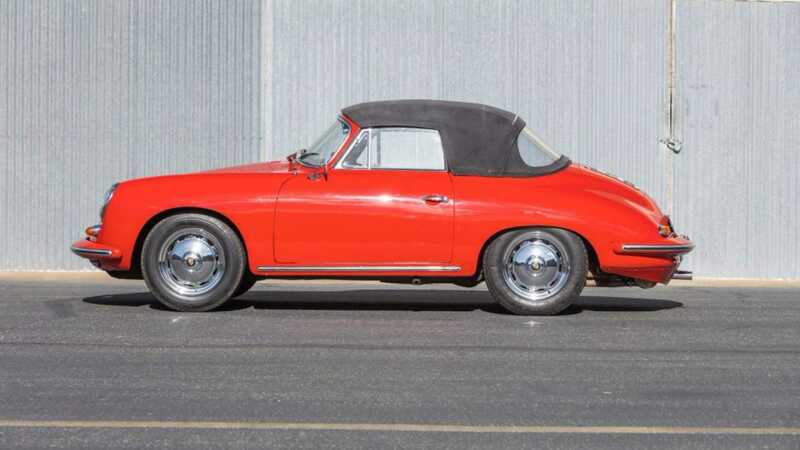 Estimates predict that only 64 Carrera 2 Cabriolets were factory produced over a 12-month period, ensuring that any example presented for auction draws the bidding hand of collectors. However, the Bonhams specimen remained in rude health – make it a red hot commodity. Rolling out the factory gates in April 1963, chassis 1588183 left the spray booth in Signal Red before fitment of a black leather interior. 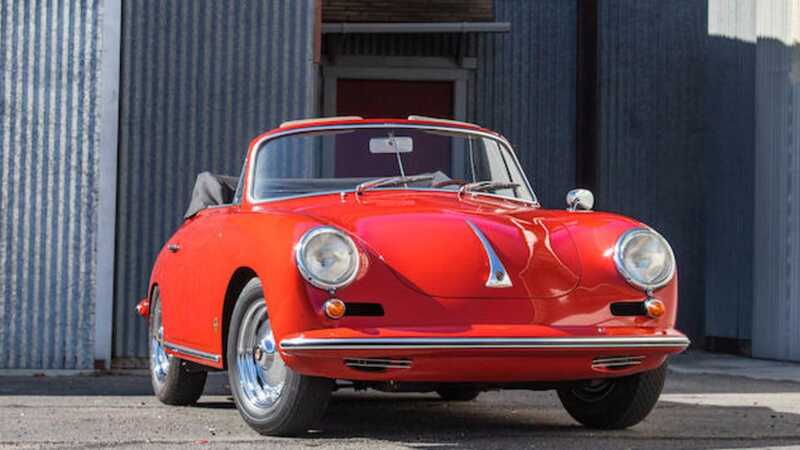 First registered to German business Hallreiter & Vieter, the Porsche found its second owner two years later. Sold to H.A. Jansen, Jansen kept the cabriolet until 1972 until Werner Kuhn purchased the vehicle. The 365B was then sold again in 1978. Migrating to Holland with new owner Walter Gratemar, the Porsche was then stripped and restored. The process was well documented with detailed period photographs validating Gratemar’s claims. After a complete renovation, the Porsche found its way into a private collection in 1989, where it then resided until January this year. 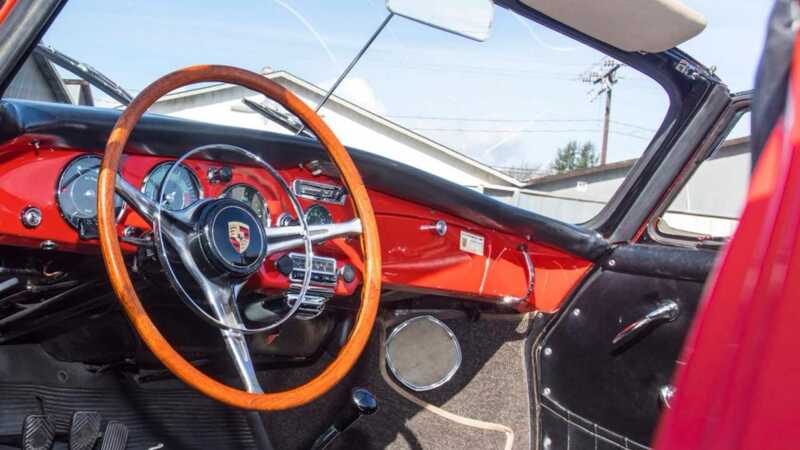 It was no garage queen in that time, however, with the custodian regularly exercising the 356B with participation in various driving events and continental tours. 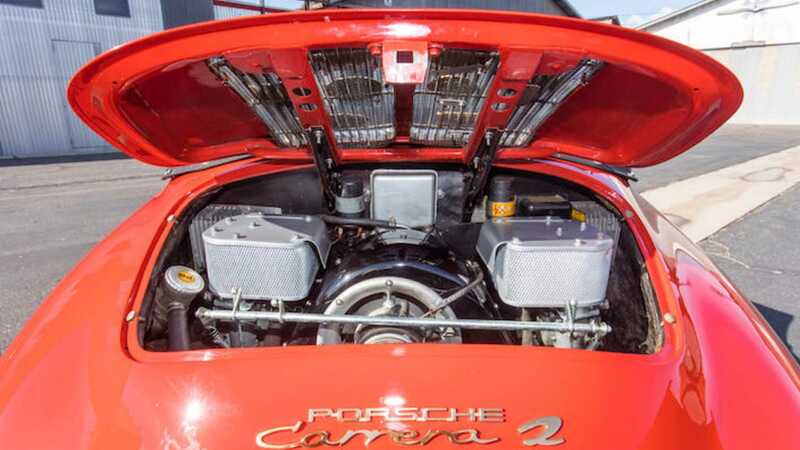 Perhaps the greatest story behind this particular heritage Porsche revolves around the engine bay. 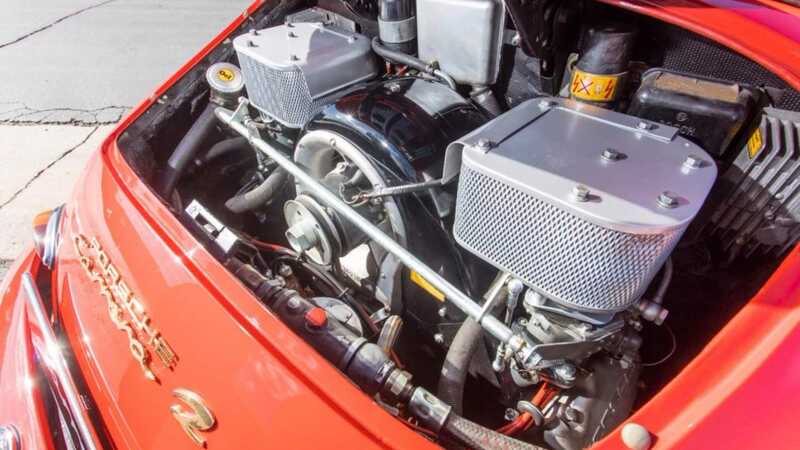 When purchased by the collector in 1989, the original engine had been replaced with a period correct unit. It may have been the correct appliance, but efforts were made to track down and acquire the primary factory unit. Hunting the engine down in Belgium, Armin Baumann was then tasked with stripping the powerplant down and ensuring that no detail was missed. Remarkably, the original engine was then used as a display piece until April 2017, where the car and engine were finally reunited. Yet another mechanical sorting was undertaken that same year by specialists Hapke Original Restauration of Leverkusen, Germany – effectively making this Porsche triple filtered.